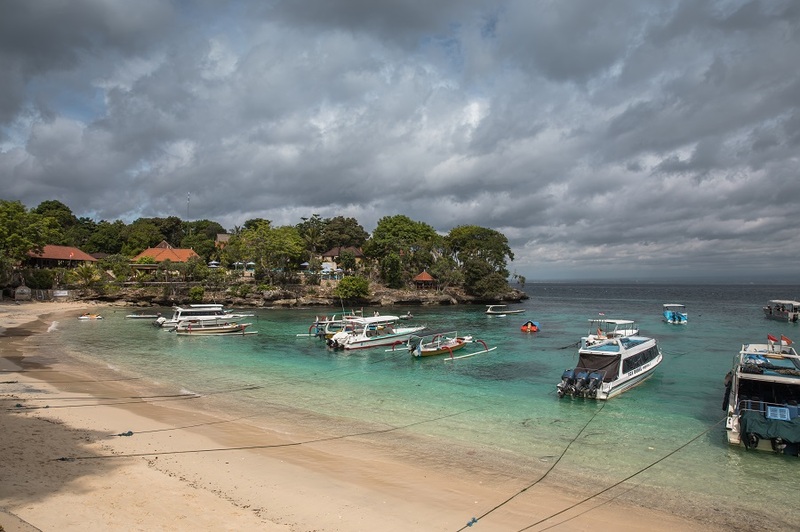 Lembongan and Ceningan Islands are located southeast of Bali and is the perfect beach getaway. It is a great destination for beachgoers, honeymooners, and those wanting to get in a snorkel or scuba diving trip while on holiday. The islands are connected by a bridge, and it is easy to get around by scooter to explore all the sites. These islands are pretty quiet at night with not much to do except explore the area during the day. You can easily spend 2-3 days in the area. With enough time, definitely combine these two islands with a few days on Nusa Penida. 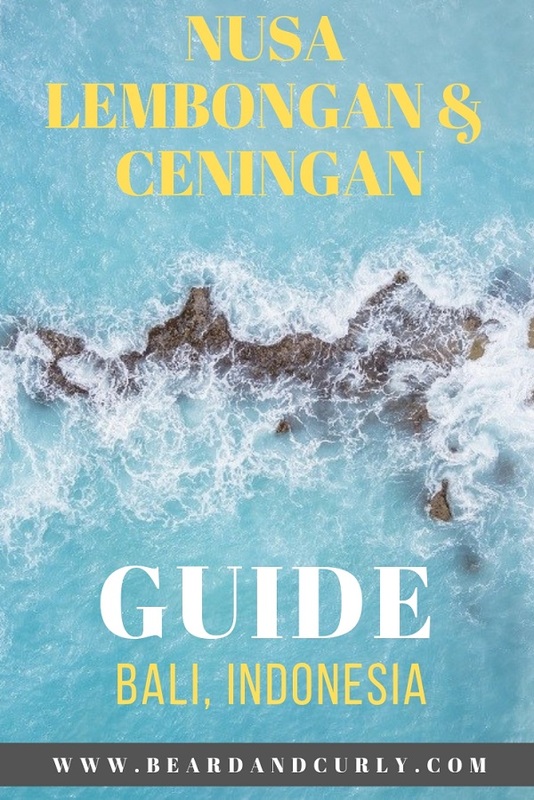 Our travel guide to Nusa Lembongan & Ceningan is perfect for backpackers, honeymooners, and families with the top places to visit and things to do! There are several ferries to Nusa Lembongan. 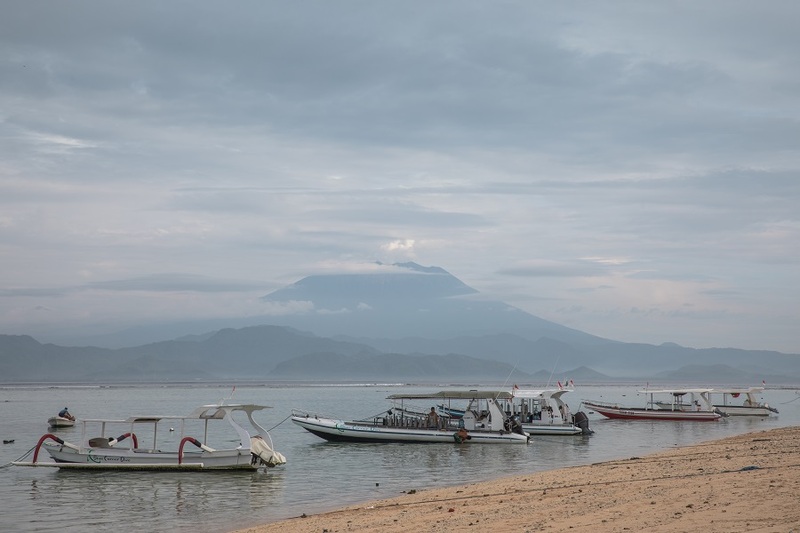 A wide range of boats from local slow boats to fast boats depart from the Sanur ferry terminal. The ride typically takes 30 minutes. It can get a little rough on the crossing, especially towards the end of the trip. Boats stop at Jungut Batu Beach and Mushroom Bay. Local Slow Boat: Departs at 8:30 am and 10 am, but not every day and only depart when enough passengers and goods. Cost 100k IDR per person. 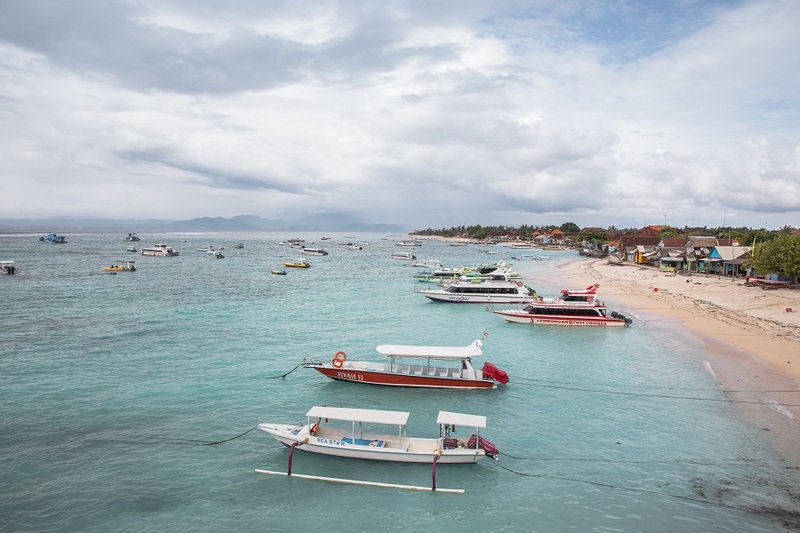 Fast Boats: There are a dozen fast boat companies going to Lembongan. We went with Perama which departs several times a day, usually around 8, 10, 12:30, 2, and 4:30. Cost 150k IDR per person. Nusa Ceningan is a small island next to Nusa Lembongan. 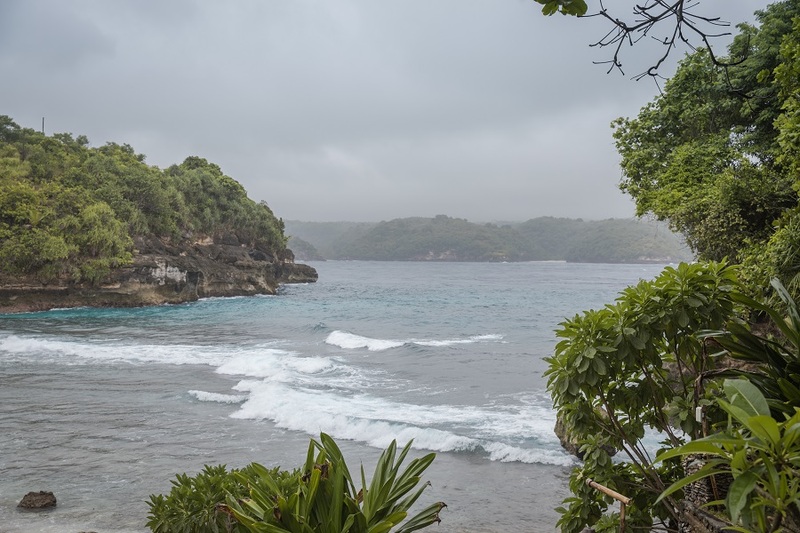 It has less development than its larger neighbors, Lembongan and Penida, but has a few worthy stops. The best way to get to Nusa Ceningan is by scooter from Lembongan. The aptly named Yellow Bridge connects the two islands. When driving on the east coast of Lembongan, you cannot miss the bridge. Lembongan used to have issues with limited ATMs that were not reliable. At least five ATMs are located at Jungut Batu and Mushroom Bay, and it is no longer a problem to getting cash on the island. 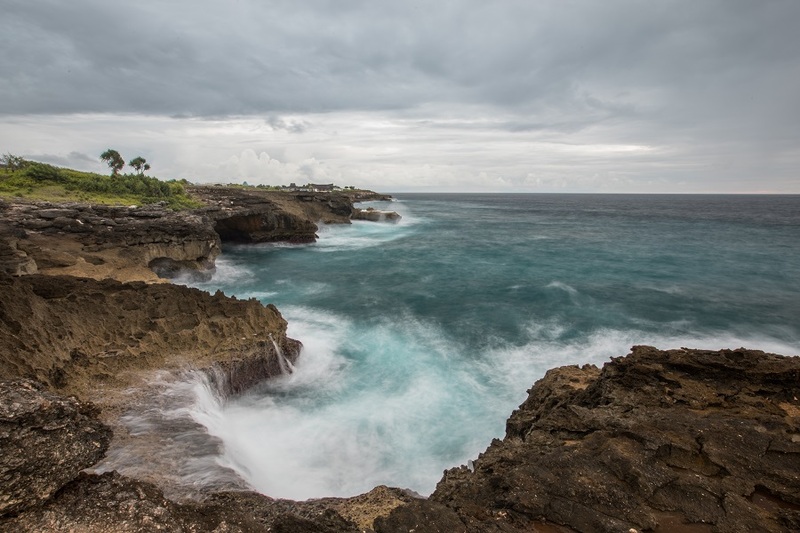 Jungut Batu is the main village on Lembongan with hundreds of homestays, stores, dive shops and restaurants. Basic homestays begin at 150k and AC rooms around 250k. Mushroom Bay has fewer options than Jungut Batu, but it is a nice place to stay on Lembongan. It is quieter than Jungut Batu with fewer restaurants, but enough to get by and stay at this beach every night. It is a 10-minute scooter ride to Jungut Batu. Green Garden Cafe – We ate here several times and enjoyed every meal. Whether it is breakfast, a curry, or a burger, Green Garden is a great option in Jungut Batu. Bali Eco Deli – We would stop here several times a day. They offer a water refill at a low-cost, they have excellent ice cream popsicle, and their food is also very tasty. Oka 7 – the best happy hour spot with a deck on the water overlooking Jungut Batu beach. Located at the end of the beach near The Deck. Drinks for 30k at happy hour. Mickey’s Sports Bar and Grille – this is the best sports bar in the middle of Jungut Batu. They have live music several nights a week, and this is a great place to grab a beer. Nusa Lembongan has excellent snorkeling spots around the island. Boat trips leave from Jungut Batu daily going to one of many spots in the channel between Ceningan and Penida, and typically a stop at Manta Point. The Nusas have some great trips, even for snorkeling beginners. The price of snorkel trips has a huge variance depending on who you ask. Nice hotels and dive shops will charge 300k per person. We paid 150k IDR per person which included three snorkeling spots AND they dropped us off at Nusa Penida with all our luggage. So we saved 50k per person on the transfer as well. We booked through Ketut, the owner of our hotel at D’ Mel Sari. 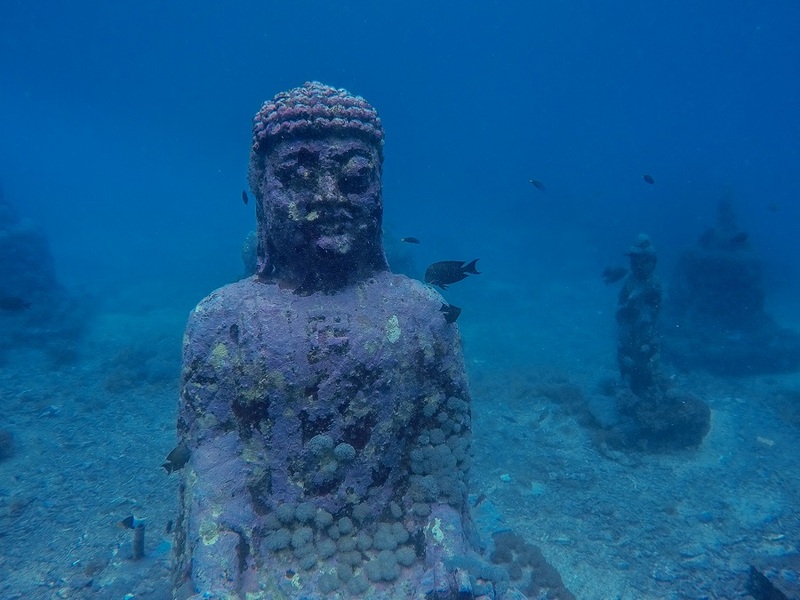 Popular stops for snorkeling are Manta Point, underwater Buddha statues, Gamat Bay, and Crystal Bay. 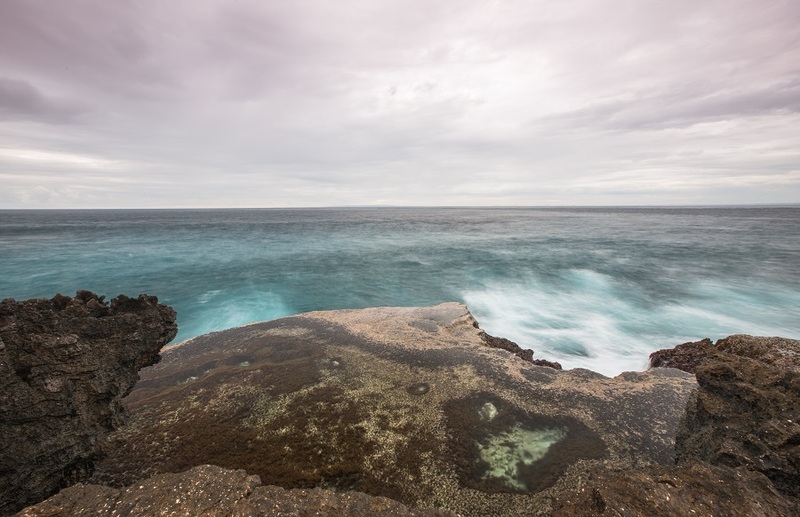 This rocky coastline has great views and is perfect for sunset. 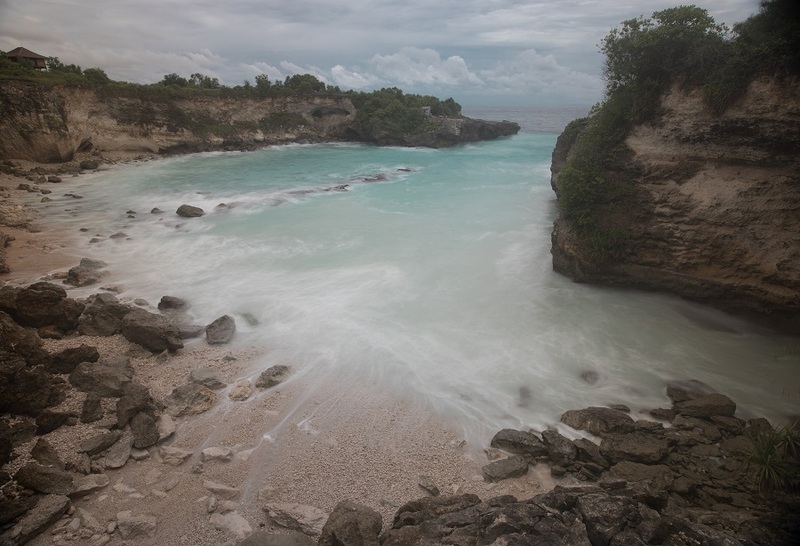 It is located at the bottom of Lembongan; five minutes from Mushroom Bay. The road narrows and eventually becomes a small path to the end. 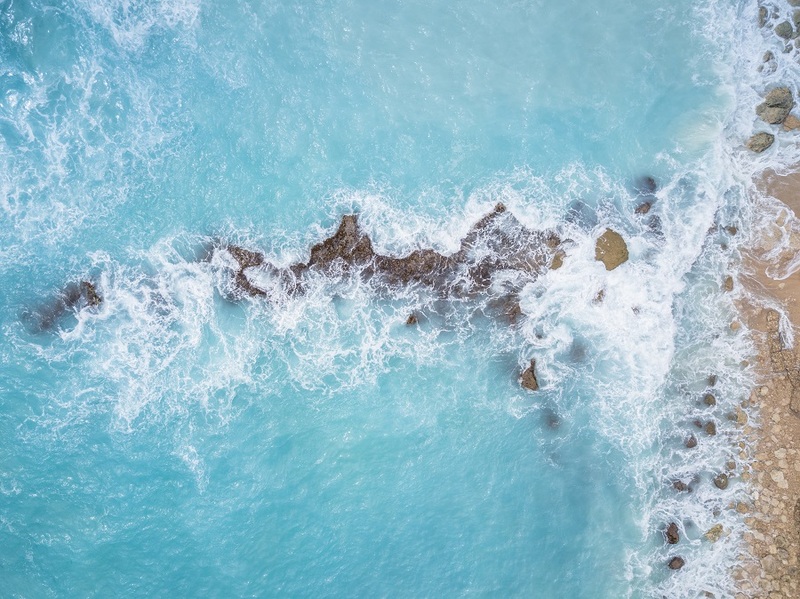 There is a small area for parking and depending on the tide, you can watch the sunset from above the rocks, or wander around the tide pools if the tide is low, but be careful of rogue waves. Private villas, beach bungalows, and high-end restaurants are located on this beach. The bay is quite rocky, so it is not the best for swimming. While it was not our favorite place on Lembongan, it is picturesque. Dream Beach is by far the nicest beach on Lembongan. Is it also a decent swimming beach. The waves can get big and the current is strong, so don’t swim out too far. There are several hotels, a hostel, and beachfront restaurants to choose from. This is a great spot to chill for the day. Dream Beach is the best beach on Lembongan, and good for swimming too! The northern part of Lembongan is full of mangroves and small rivers. You can hire a kayak or go on a 30-minute boat tour for 100k IDR per person. Several beachside restaurants have scenic views of the mangroves and great for lunch or a beer. The iconic pedestrian/scooter bridge between Lembongan and Ceningan is well, yellow. 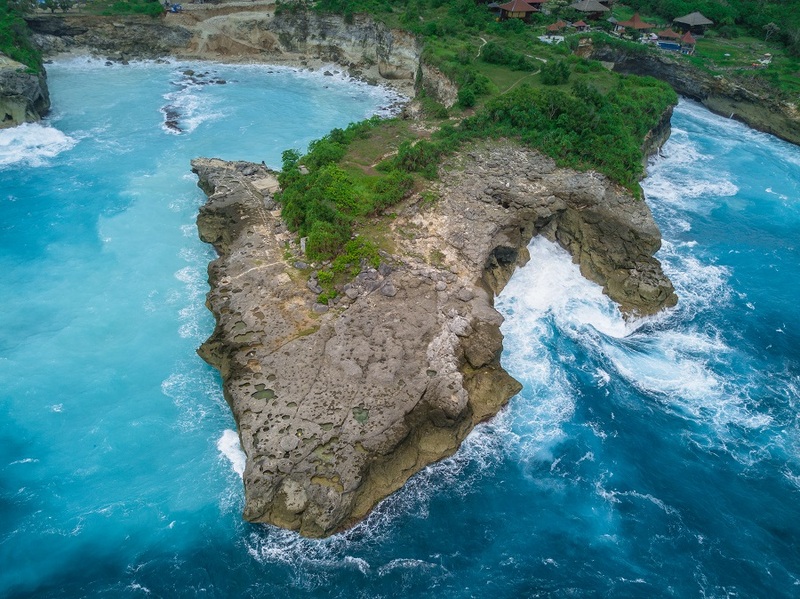 It is located on the west coast of Lembongan. Be aware it is a bit scary driving a scooter across. The east side of Ceningan has tall scenic cliffs. Ceningan Cliffs restaurant is perched at the top, has cute swings and great views of the channel between Ceningan and Penida. This beautiful beach is private with a 30k IDR fee per person. However, it can be used towards food and drinks. It is the nicest beach in Ceningan and worth it if spending the day there. Blue Lagoon is a bay on Nusa Ceningan carved by steep cliffs with milky emerald water. It is very scenic and probably the best place to see on Ceningan and Lembongan. Unfortunately, the views are only appreciated from the top; there is no way to reach the bay. Nusa Penida is our favorite island of the three islands. 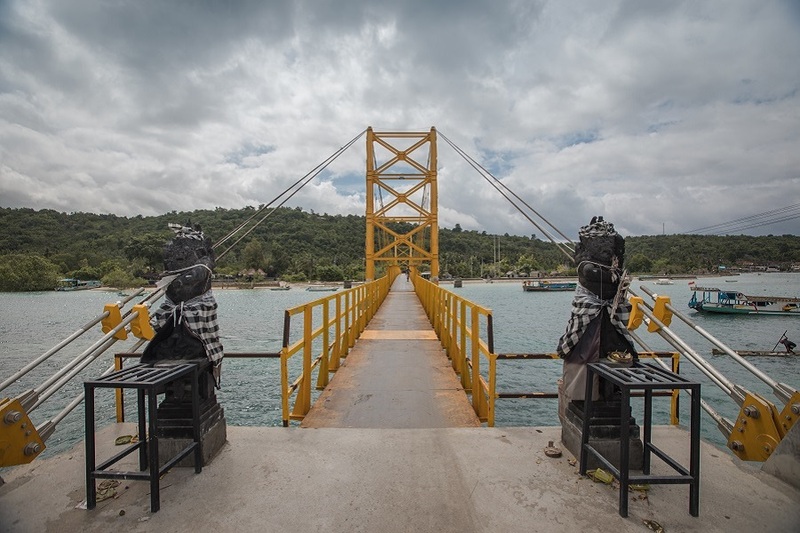 It costs 50k IDR to get to Nusa Penida from Lembongan, where ferries depart beneath the Yellow Bridge. 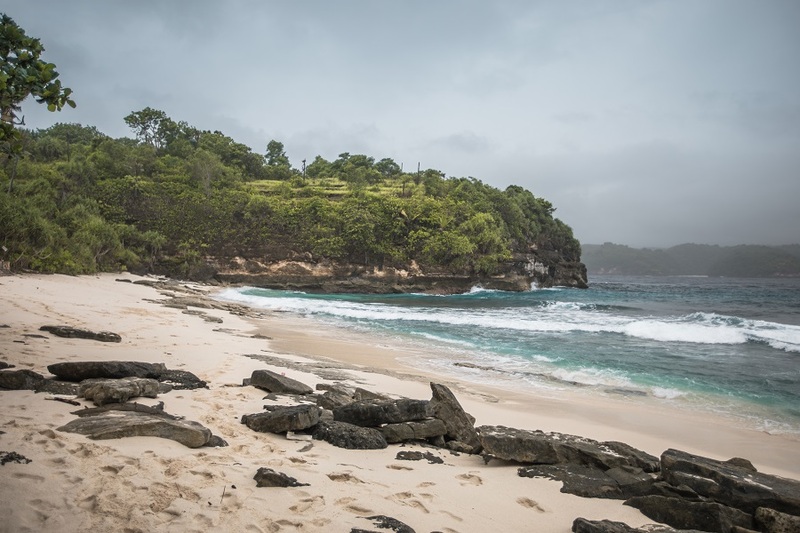 Nusa Penida has incredible places to see, such as Kelingking Beach, Broken Beach, Angel’s Billabong, and Atuh Beach. 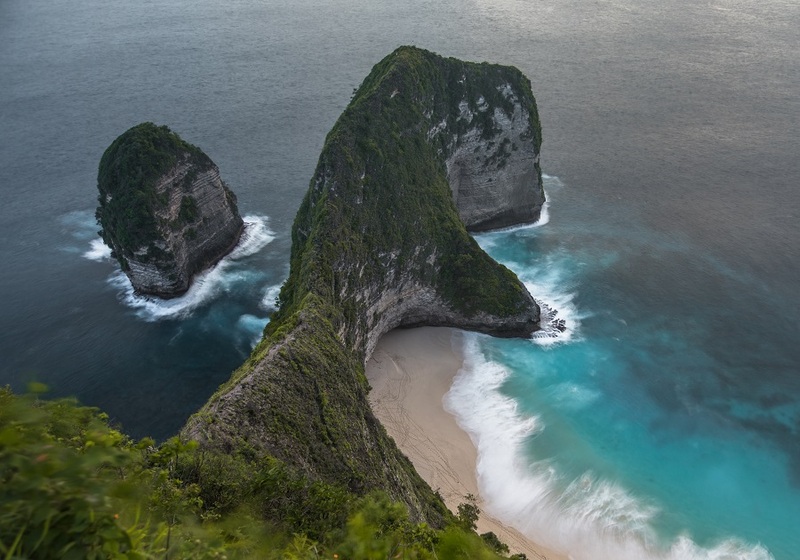 For more on Nusa Penida, check out our top 10 things to see.